Every year on December 25th we celebrate Jewish Christmas. We relax at home, go to the movies, and then eat Chinese food. This year unfortunately we’ll be traveling on Christmas day. 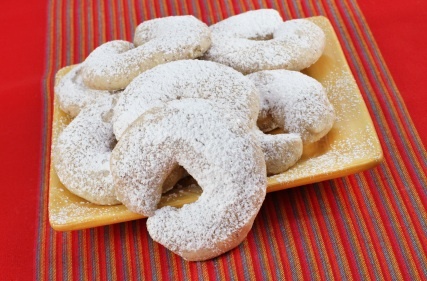 Since we’ll miss our annual tradition, I decided it was time to try to replicate Mom’s Viennese Crescent Cookies as they’re often associated with Christmas time. 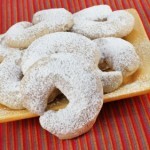 Viennese Crescent Cookies, or Vanillekipferl, are similar to sugar cookies and the most distinctive characteristic is their shape: they are formed into crescents. 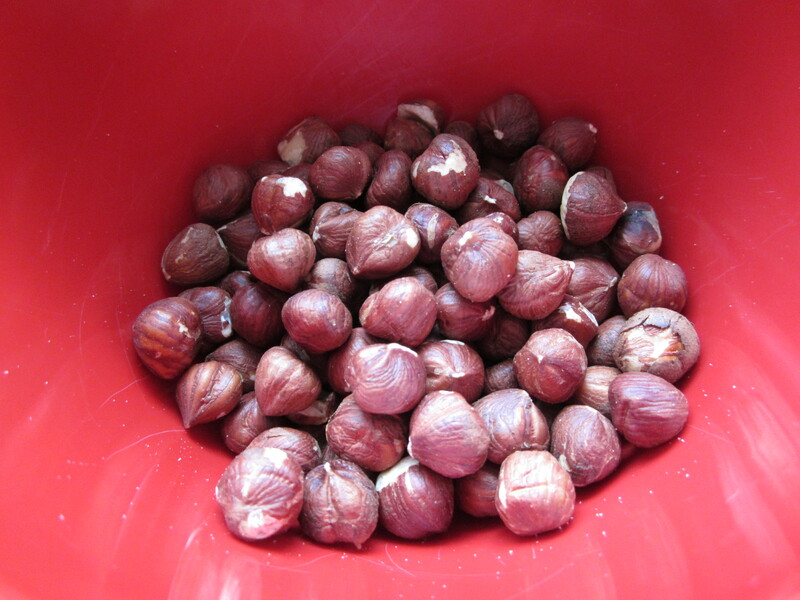 The cookies use ground nuts for flavor, either almonds and hazelnuts. Since my daughter loves nutella, I suspected the odds of her liking these cookies were high. 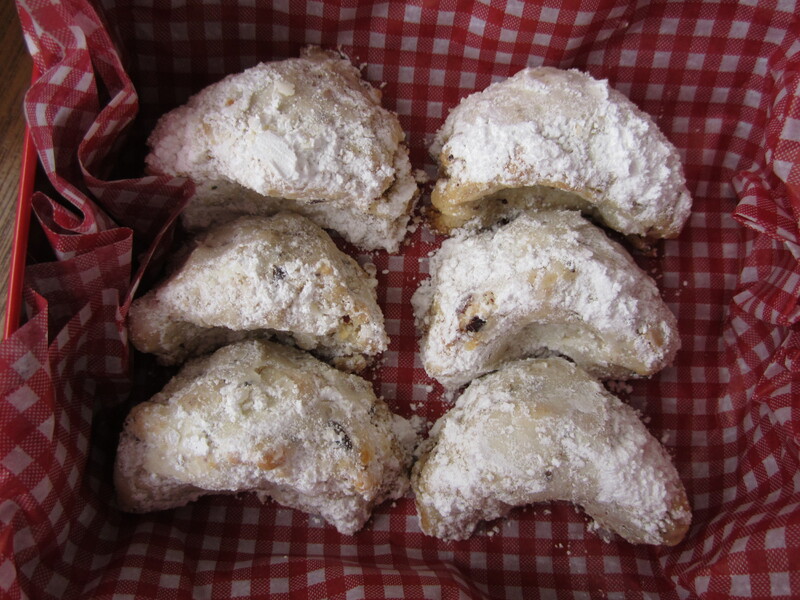 They are often served dusted with powdered sugar or dipped in chocolate. They are commonly found in Austria, Hungary and Germany. As its moniker suggest, the cookies are strongly associated with the city of Vienna, where they originated, according to legend. I’ve learned through research, these cookies are also said to be the forerunner to the more familiar food: the croissant. I don’t remember my Mom baking these cookies but, I do remember helping her sprinkling on the finishing touches of confectioner’s sugar when the cookies came fresh from the oven. Somehow she always managed to sculpt each cookie in a perfect crescent shape. They contained an equal combination of vanilla with hazelnut and they were so delicate, they’d crumble in my mouth after the very first bite. The confectioner’s sugar sealed in all of these flavors with the lightest of textures and sweetness. 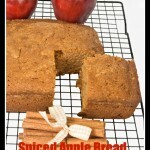 Perusing the recipe, it certainly looked easy enough to bake. In fact, what was most alarming was the absence of eggs or milk or baking powder or sugar in Mom’s recipe (others have eggs and rising agents). I was a bit skeptical. I also encountered another baking first. I would need to work with vanilla beans. I never really thought about vanilla beyond its extract form. 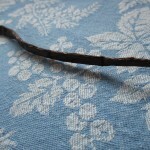 I assumed a vanilla bean was shaped just like a coffee bean, small, round, and could be found in the same section. When I went to the store and asked for help, I was sent to the other end of the store and handed a glass jar filled with what looked like two shriveled worms. I tried to hide my surprise as I curiously inspected the contents. As I’ve now learned, it’s always important to read through the entire recipe to know what’s expected of the baker and the dish. When making the batter, I assumed I could mix the contents with an electric mixer and neglected to follow the next crucial step which instructed the ingredients should be kneaded by hand. That’s probably why I had a very difficult time molding the batter into one big ball before refrigerating it. Instead, it’s consistency remained very dry and crumbly despite my desperate efforts. While I couldn’t sculpt a perfect crescent shape with the cooled dough, I did try my best. The cookies take a mere 10-12 minutes to bake and the vanilla and hazelnut smells are extremely dominant. 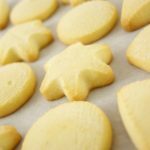 When I was ready to “dust” the cookies with the powdered sugar and vanilla mixture, I had flashbacks as a child in Mom’s kitchen helping her dust. While she daintily used a special shaker utensil that evenly sprinkled the sugar, I simply dumped spoonfuls atop all the cookies. Mom also crushed the vanilla bean in the powdered sugar and let it soak into the sugar overnight in the refrigerator before use. I took the shortest short cut and simply made the mixture moments before use. Batch #1: My cookies were certainly not as neat and symmetrical as Mom’s but, the tasted exactly as I remembered. Batch #2 was much better. Next time around, they’ll be perfect. 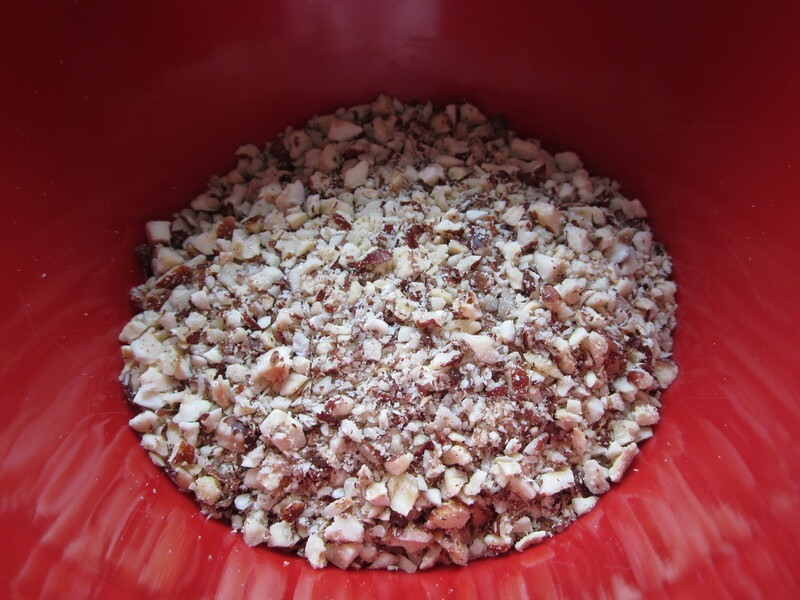 In large bowl combine flour, butter, nuts. 1/2 cup confectioner’s sugar, salt and vanilla. Hand mix until thoroughly blended. Shape dough into a ball and cover and refrigerate for 1 hour. While dough is refrigerating, place sugar in a small bowl. 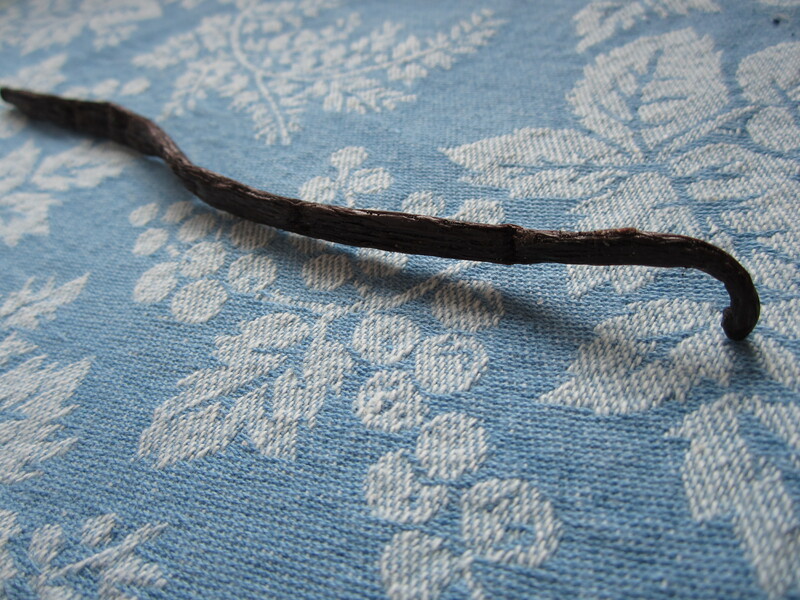 Split vanilla bean lengthwise and scrape out seeds into sugar. Cut pod into small pieces and mix into sugar as well. Remove dough from refrigerator and form balls. Roll each ball into small roll. Place rolls on ungreased cookie sheet and bed each one to make a crescent shape. Bake 10-12 minutes in the oven until the cookies set but, make sure they do not brown. Let cookies cool for 1 minute then remove from the sheets and sprinkle with sugar mixture. Turn to make sure both sides get covered.